Perhaps he won't resort to selling the gold after all? Here's the irony - the only way that selling used gold crowns would be profitable is if this competition significantly boosts his celebrity status which would add value to the chompers. If that were to happen, he wouldn't be so hard-up for cash and would want to keep the gold teeth because they are a part of his image. I think it's safe to say he'll be keeping them in until recurrent decay has its way with the teeth. Good luck in the competition DJ Talent. When Savannah Simmons asked her dentist to fabricate her dentures using a gold maxillary lateral incisor as a tribute to her late father, she had no idea that the tooth would one day find itself at the center of a little controversy. That's because she didn't anticipate being included in a Rhodes College project through its Center for Outreach and Development of the Arts, and certainly couldn't have guessed that her grinning mug would find its way onto a giant, highly visible wall in downtown Memphis. Enter one Gregory Grant, a man who balances his duties as president of the Memphis chapter of Al Sharpton's National Action Network with the time he spends as a Memphis tour guide. On a recent tour, Grant noticed the new mural and was "incensed" at the racial stereotype. He complained to the university, saying "The next thing I know you'll have a little boy sitting on a riverbank eating watermelon." When it was explained to Grant that the woman in the mural was indeed a real person and not a fictitious racial stereotype, he quickly changed his tune and issued a press release inviting the public to this Sunday's debut party for the mural, which "shows Memphis as a harmonious city -- a city that embraces its diversity." In Grant's defense, his duties with the National Action Network include constantly "telling young people to take the gold teeth out and pull your pants up." Wise ninja say, be slow to anger lest ye find yourself quite the fool. Reading the news the past several months hasn't brought a lot of good news. Until today. Ninja Turtles "origins" movie slated for 2011. Cowabunga! For those of you who recently read about the famous musician's dental models and thought to yourself, "Aw, shucks. Too bad I didn't know about this item earlier because I totally would have won that auction!" - I have some great news!!! I was just contacted by the ebay seller and informed that there is yet another of Tiny Tim's dental models up for grabs between now and April 30th. This one is half of an arch which was used to fabricate a crown on the lower right 2nd molar (aka tooth #31 here in the states). Click here to check it out and place your bid. A couple interesting things about Tiny Tim based on this photo are that he never had his wisdom teeth removed and that he had a severe arch length discrepancy, demonstrated by the funky position of the canine. 1. An oral condition that causes ones breath to be so noxious that it can sneak up on unsuspecting people and be nearly fatal. 2. When the physical state of ones mouth is so repugnant that it looks like a skilled ninja has drop-kicked them squarely in the mouth. 1. I heard that John is in the hospital, cuz he went to kiss Sheila goodnight, and her ninjavitis made him go into shock. 2. god rest his soul, but ODB musta been in a fight with the RZA cause even his goldfronts had sum ninjavitis. Personally, I think the definition should be expanded to include the very ninja-esque art of deception. For example, you see a seemingly healthy mouth, but as you go in for the kiss, BOOM, ninjavitis! Be on the lookout for Ninjavitis, and if you happen see any more case studies of this deadly new epidemic please send them my way. Before proceeding with my usual noteworthy dental story, I'd like to take a minute to congratulate the U.S. Navy Seals on their recent 3-0 victory over the Somali Pirates. As a ninja, I'm naturally a sworn enemy to pirates and am always delighted to see them defeated. When was the last time you heard of a ninja defeat? In fact, when was the last time you heard of a ninja? Exactly. Ninja victories come and go and you are none the wiser. Because we're NINJAS! For the rest of this month I'm declaring all Navy Seals honorary ninjas. Next time you're struggling to get that perfect impression - the one that would satisfy the sternest of dental bosses or cranky prosthodontic instructors - just keep this in the back of your mind: someday, this patient might become famous, and if they do, and if you hang onto the models, you could totally make some money on ebay!!!!! That's what happened with the dental models of American musician "Tiny Tim." A recent upi.com article details the journey of the models from the wife of the late musician, to a fan from Massechusets, to ebay, to the buyer in Texas, earning a cool $1500 along the way. A couple news stories stood out to me this week. "It's embarrassing, but I've bashed my teeth on my microphone and knocked them out five times. Now, I put a foam thing over it like a windscreen for protection." The microphone? Five times? Really?!? There are guys who spend an entire hockey career losing less teeth than that! In another preventative measure, Finn mentioned that during concerts there is now "less beer onstage." Somehow I get the feeling there used to be a lots and lots of beer onstage. This week's second dental oddity comes from Zac Sunderland, a 17-year-old southern Californian who is attempting to be the youngest person to sail around the world alone. Before departure, he wisely saw his dentist who informed him that his wisdom teeth should probably come out within 6 months. Lo and behold, 9 months into the journey he began having some dental pain due to the 3rd molars. He shared his experience on his blog, claiming "Now one of them is pressing on my back molar and feels like it is on fire." Not to worry, he was able to get some advice from his dentist and in his next post he claimed that the pain had subsided. Good luck Zac, hopefully you won't end up having the same experience as Chuck Noland in the movie "Cast Away." Picture this: You're in the woods enjoying a leisurely walk just southeast of Rochester, Minnesota. You happen upon a suspicious mesh bag hanging from a tree about five feet off the ground. Like the curious little raccoon you are, you look in side the bag only to discover a glass jar, which you of course promptly open and find a rolled up sock along with several human teeth. Bizarre? You bet. Since I've been reading "The Adventures of Sherlock Holmes" this week the solution was, to me, quite obvious. You see, when you apply the proper deductive reasoning it becomes glaringly obvious that the teeth were obviously... well... ok I'd probably be stumped. So was the woman to whom this happened. She called the local police who were also baffled. The mystery was finally solved when a member of the Southeast Minnesota Search and Rescue Squad called to explain that they had been using the items to train their dogs and that they must have left it behind, which I find just a little ironic. Full article can be found here (post-bulletin.com). Normally I like to stay away from the science and stick with "dental entertainment" news, but this recent study from NYU college of dentistry was pretty interesting. 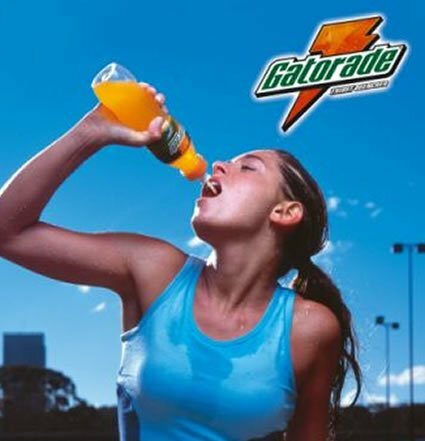 Popular sports drinks such as gatorade, powerade, and propel are just as bad for your teeth as soft drinks, if not worse. This isn't news. What is new is the discovery that it's better to wait 30 minutes between consuming said sports drinks and brushing your teeth! The science says that the acidic drinks de-mineralize and weaken the enamel to the point that normal toothbrush abrasion takes a much bigger toll. Conversely if one waits before brushing, the saliva has a chance to re-mineralize the tooth surface making it more resistant to toothbrush wear. Who new? NYU knew, that's who. Full news article here (Forbes.com). And finally, just so this post isn't all business, allow me to share with you the Pirates vs. Ninjas mobile (for a baby crib). Coincidentally I happen to be expecting my second little ninja warrior in about a month. Unfortunately it's currently sold out, which isn't really surprising when you consider its inherent awesomeness. “There's a lot of talk that I flipped over in a golf cart…That's f---ing true." The full article can be found here (MTV.co.uk). Personally, I think this is a great opportunity to start the next big hip-hop dental fad. Gold teeth have been done, grillz are so played out, and diamonds are just too expensive for the average would-be rapper. 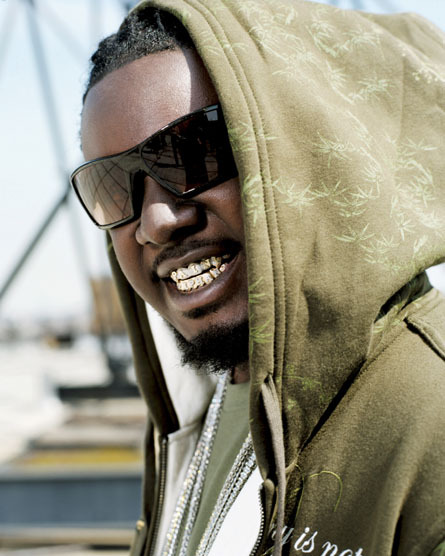 T-Pain, I hereby issue you the challenge to come up with the next big thing that will keep guys like me busy doing totally unnecessary procedures for up-and-coming rappers trying to make a name for themselves. Show me what you've got.